We are nationally renowned for our civil-fraud work, with unparalleled depth and breadth of experience and an outstanding national reputation for defence work within the insurance sector. Our barristers have been at the forefront of the fight against insurance fraud on the industry’s behalf for over 12 years and from the very outset of the recognition of the problem. They have led the development of this area of law, including acting in the first case in which an insurer obtained a finding of fundamental dishonesty (Richard Paige) and the first ever private prosecution by an insurer for insurance fraud where 21 fraudsters were convicted, the majority receiving immediate custodial sentences (Camilla Buck). Our members are nationally renowned for their work in this field and are instructed to travel all over the UK. We also advise insurance companies directly on strategy and tactics, regularly meeting with insurers and solicitors, identifying growth areas of fraud and formulating procedures and processes to deal with them. We have trusted advisor status with many companies and firms. In the latest edition of Chambers and Partners UK Bar Guide, 2 out of only 5 Counsel rated Band 1 in the whole of the UK in insurance fraud were from Park Square Barristers, namely Judy Dawson (described as “very thorough” and “a pleasure to work with”) and Peter Wilson. Matthew Smith was described as “an outstanding senior junior” and “really excellent”. Peter Wilson was noted to be “at the forefront of civil fraud”, and Judy Dawson’s “excellent analysis of complex data in multi-party fraud cases” was complimented in the Legal 500. We handle all types of insurance fraud cases, road traffic accidents (including organised fraud rings), public liability and employer’s liability cases. The members of the team are particularly experienced in cases involving staged accidents (‘crash for cash’), induced/contrived accidents, low-velocity impact (LVI) matters, bogus passenger claims, credit-hire fraud, and exaggeration of loss. We also have experience of fraud in the context of travel and home-insurance claims. Our barristers are experienced in cases which involve careful liaison with the police and other authorities. Due to our very strong team mentality and constant updating of knowledge, we have pioneered work on technical defences (such as service points particularly in the field of untraceable/non-existent policy-holders) and insurance indemnity points, to enable insurers to strike out cases at an early stage without cost escalation. Fraudulent insurance claims have become endemic within society, but Park Square Barristers is very well-placed to help the insurance industry and their solicitors in presenting a strong stance against this growing problem. We have been advising most of the leading insurance companies and solicitors’ firms ever since awareness of road traffic fraud began to grow, and we continue to work with insurers in formulating strategies for dealing with criminal gangs. Our contacts within insurer fraud departments ensure that we are made aware of developments within the sector as they happen, including changes in trends relating to the way in which false claims are presented by fraudsters. Our fraud team has extensive experience with fraud-ring cases, including those involving criminal gangs, and are used to handling fraud-ring-linked cases on behalf of multiple insurers, obtaining orders for consolidation and the hearing together of claims arising out of purportedly unrelated accidents, and dealing with high volumes of data and similar fact evidence. 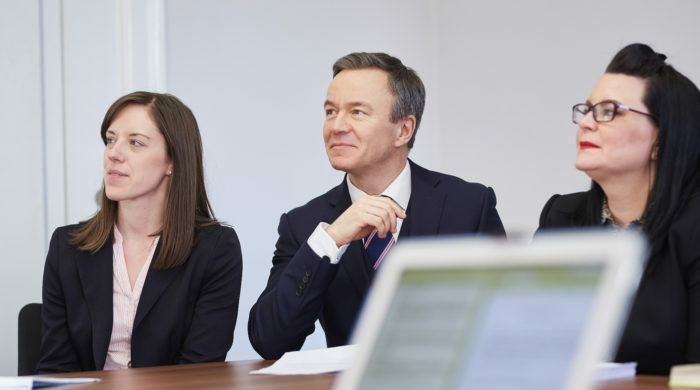 Our civil fraud barristers provide pre-litigation advisory services and have excellent reputations for drafting complex and robust defences, undertaking client/expert conferences and presenting cases at trial. We also offer a mediation service.